There's Oscar buzz surrounding Denzel Washington and Viola Davis' new movie, Fences. And rightfully so. From the trailer, and even reviews from their Broadway run, Fences looks to be a must-see film. But Washington isn't shying away from the #OscarsSoWhite conversation, because he's lived it. In his upcoming interview with 60 Minutes, Washington discusses not only his career but also what he thinks about the lack of diversity at the Oscars. Washington has been nominated for an Oscar six times but has only won the award twice. 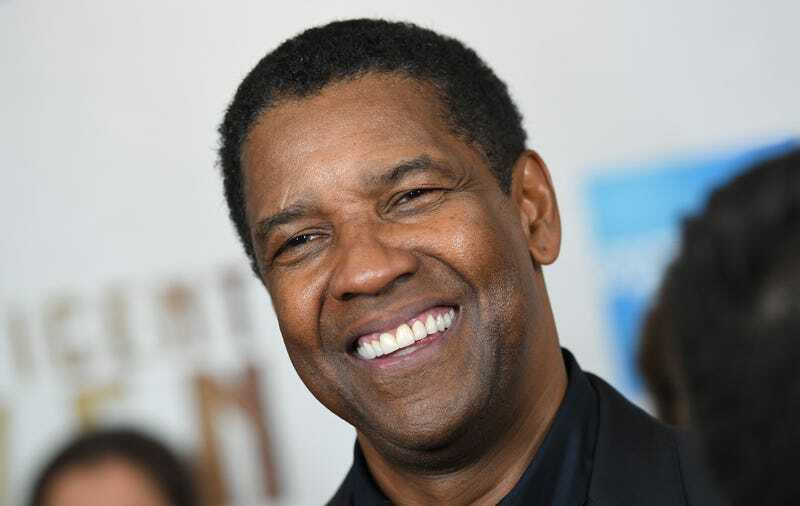 In 2002 he won Best Actor in a Leading Role for Training Day, and in 1990 he won Best Actor in a Supporting Role for Glory. But many felt that he was robbed of the award for his portrayal of Malcolm X in Spike Lee's 1993 film. Many people also felt that his win for Training Day was overshadowed because of the type of role he played in the film. Washington does acknowledge that the playing field is uneven when it comes to black actors and black films, but that's not stopping him from doing his craft. “Yeah, and so what? You going to give up? If you’re looking for an excuse, you’ll find one. … You can find it wherever you like. Can’t live like that. Just do the best you can do," Washington says. Washington's 60 Minutes interview airs Sunday at 7:30 p.m. ET and 7 p.m. PT.